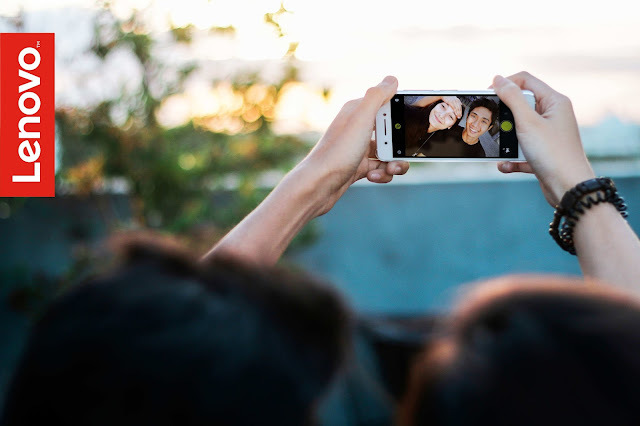 With technology allowing people to capture special moments, kilig-worthy Valentine’s Day events can be made more memorable than ever with Lenovo’s first dual selfie camera smartphone, the Lenovo VIBE S1, perfect for immortalizing sweet or wacky instances between couples, families or friends on hearts’ day. With a first-of-its-kind camera, smart editing features, and stylish glass exterior, the VIBE S1 is specially built for taking picture-perfect moments. Going on a romantic candlelit dinner date this sunday, trying a new bar with an indie band, or having a movie marathon under the stars with your special someone? The Lenovo VIBE S1 will be a welcomed third wheel to bring on February 14. This stylish smartphone’s dual selfie camera allows users to photograph each moment with an 8-megapixel primary front camera that takes high definition photos and a 2-megapixel secondary front camera that analyzes depth of field information replicating human binocular vision. These two cameras work in tandem to unleash a myriad of new possibilities that can give Valentine’s Day selfies a creative twist. Make heads turn with the VIBE S1’s ultra-stylish exterior comprising of a curved-glass rear panel made from the latest Gorilla® Glass, and a thin rounded metal frame that goes around the side. With its thin 7.8mm profile and 132g in weight, it is designed to snuggly fit in the palm of the user's hand. Picture-perfect selfies and photos can be viewed on its vivid 5.0-inch Full HD display and users can easily share all their photos using the preloaded Lenovo star SHAREit app. On top of it all, Lenovo VIBE S1’s 4G LTE connectivity speeds and an Android™ 5.0 (Lollipop) operating system are sure to capture everyone’s heart.